t’s standard to sell wholesale items at 2.5X your production costs. This wholesale price is usually about half of what the end customer pays, as it’s generally a safe assumption that the retailer will mark up their cost 2X when pricing your product for customers. It’s also common to offer a “suggested retail price,” so you can be sure you’re offering a price that makes sense for you, the retailer and the customer. For example, if your product costs about $2 to produce, you might sell to retailers at the wholesale price of $6, which would make your suggested retail price $12. Make sure that when calculating those production expenses, you’re also including the cost of freight, marketing, and other overhead costs. You may also want to enforce a minimum order rule to achieve selling goals. Meaning, wholesale buyers must buy a minimum amount of your product (or dollar amount) when placing an order. To create incentive and minimize the risk to the retailer, you can offer no minimum order on their first order. After that, however, it is important to stick to a minimum order regime. As part of that, come up with an overall wholesale pricing strategy. Create a formula for orders: if your wholesaler buys 100 units, they pay $8/unit and if they order 500 units they pay $6/unit and so on. The idea behind this kind of volume pricing is to incentivize large orders that increase revenue. Start simple and see how this system works for your business. Who is your target customer? Where do they shop? What stores are stocking competitive products? What region are you looking to sell in first? Often, the best way to answer these questions is to simply visit stores––walk around. Where do you envision your products stocked on their shelves? Look at the competition. How does your packaging compare? How much shelf space will you need? How does your product fit into the store’s existing assortment? For more on choosing retail stores to work with, check out this post on the topic. This varies by industry and by individual retailer, but it’s important to remember that different stores often have different buying strategies. For instance, at a smaller boutique, you may be dealing directly with the storeowner. With a chain of stores, however, you may be working with a dedicated buyer. These buyers may make purchases on a seasonal schedule, or prefer to place orders at large industry-wide trade shows. Perhaps they want to place a batch of orders before the high season, all set to ship on different dates. Be prepared to accommodate these kinds of schedules. Another point to keep in mind is that buyer expectations are increasing when it comes to the B2B ordering experience. 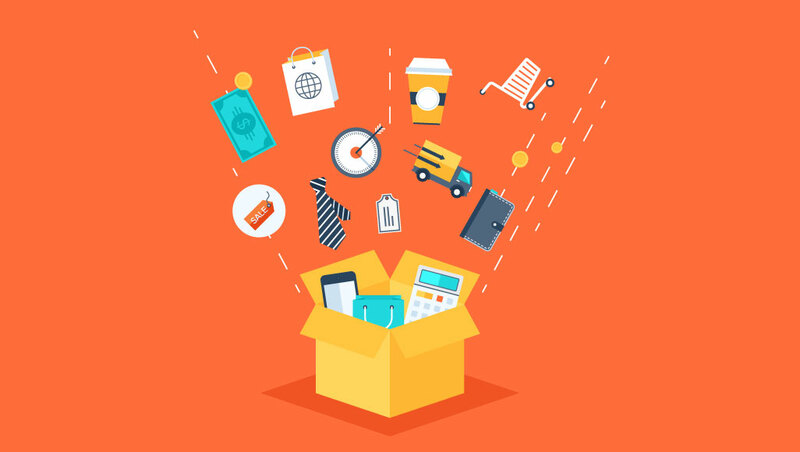 B2B eCommerce solutions and mobile order writing applications are in the midst of disrupting the B2B sales process, and successful wholesalers are investing in out-of-the-box technologies to replace clunky, manual ordering processes in order to make it easier for buyers to do business with them. To find out more about how the world of manufacturing & wholesale distribution is being disrupted by digital technology, download our guide on "How to Prepare for Digital Disruption" in wholesale distribution and manufacturing. When selling wholesale, you do not charge sales tax on the order, because the retailer will tax the customer upon purchase. But it is important to obtain tax ID documentation from your retail buyers. In a networked world, it always gives you a leg up to have a rave review on your side. Think of it like choosing a restaurant to dine at. You will probably scan Yelp and pick a restaurant with a good review rather than risk a mediocre meal at a restaurant with no reviews. Apply this same principal to your products. Be ready to show your buyer customer testimonials or press about your product. If you are just starting out and don’t have any reviews yet, offer free samples to relevant companies or stores and ask for their feedback. A good review from a reputable source can make all the difference in a competitive market. To get featured in the press, you could also try HARO, an email service that lists articles reporters are working on­­––respond with information if you see a developing article that may be relevant to your product. Including positive press about your product is a great way to promote yourself as a reputable brand, which can be especially helpful for stores with strict buying guidelines. Check out our post on brand publicity for more tips. At the end of the day, retailers buy products that they think will sell. The more your product is in demand from consumers, the more likely it’ll be that a retailer decides to stock that product. Building your brand and marketing directly to consumers is extremely important. Rejection is part of learning how to wholesale. Your product won’t be the right fit for every retailer you approach, and that’s okay. It may take a while before you get your first big order. Prepare yourself for this as you set out into the field. A rejection might have to do with any number of things outside your product. The store might be going in a different direction, or they may be overstocked and not looking to add new lines. Perhaps the store itself isn’t doing well, or they have strict buying guidelines (e.g. they only buy at trade shows). Don’t beat yourself up over every rejection––it’s part of getting the hang of wholesale. You can even host a focus group (it doesn’t have to be huge…even small focus groups can be effective), and find out how you can improve your product or what direction you want to go in for your next product. Staying up to date on trends keeps your business (and your bank account) growing. Well, there you have it. We’ve only scratched the surface of how wholesalers do their jobs, but hopefully this post has served as a good introduction to what’s involved. And once your brand is ready to start capturing orders digitally, shoot us an email!